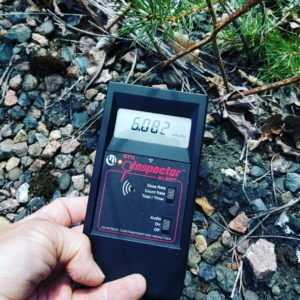 To me Geiger Counters have always been about inquiry – what is there around us that we cannot see? How does it affect us? What do they tell us about the world and the universe that we donʻt know. Itʻs all fascinating to me, and I love to get time in the lab or the field to satisfy my curiosity in this arena. But, alas, the hierarchy of human needs puts safety first. And Geiger Counters serve a vital role in the safety arena. Weʻll never know for sure how many lives they have saved or how many unnecessary health problems they have prevented, but the numbers are surely very high. Still, there seems to be a continuous stream of news that hits my phone or desk about unexpected events that put people unnecessarily at risk. Some of these incidents are in the public domain. This report in Scientific American highlights the danger of inhalation of radionuclides, even in secure facilities. Another recent published example involving inhalation is the tunnel collapse at Hanford. When trained professionals like these get exposed to potentially harmful radiation (and donʻt realize they are getting exposed) it reminds me once again that you cannot always count on governments or professionals to give you the information you need to stay healthy. A friend and colleague of mine, Edouard LaFargue, recently explored an area in France that is frequented by members of the general public, but was once a uranium mining site. He sent me the picture below, which shows that the area is still contaminated even though maps mark it as uncontaminated. He has written about his visit to that site here. So I am just putting the word out there to be careful if you are working around radioactive material, and be cautious even if you are not a radiation safety professional working in a regulated environment. Carry proper instrumentation when you think there is the possibility to be exposed to unusual radioactivity, and remember to use it. Remember not all instruments detect alpha and beta radiation. Alpha emitters carry the greatest inhalation risk. All of our Medcom instruments can detect alpha, beta, gamma and x radiation, but our Inspector and Onyx instruments have the greatest sensitivity because they use a large gm pancake detector. Here in our Labs we are continuously working to improve the tools available to increase radiation safety in the workplace, in communities – and for individual homes and families. One problem in keeping track of contamination during surveys is lack of geospatial information, and radiation data is not very useful without it. To solve this problem we have added a bluetooth radio option to our popular Inspector Alert. The new Inspector BLE can connect with popular smart phones to record radiation readings with time/date and GPS data. Our IMI Gateway App works on all popular operating systems and smart phones. With these tools, mapping becomes easy and the data becomes useful. We hope these tools will make the world safer. In any case please remember to be careful out there. Kickstarter is featuring a new Safecast radiation detector today, July 4, American Independence Day, as part of its Gold program presenting “iconic projects with a twist.” Safecast created something unique in the Geiger Counter World with its Open Source “bGeigie Nano,” which has won much recognition inside and outside Japan, and won a prestigious “Good Design” Award in Tokyo. The original “Nano” was a kit that required some skill and a soldering iron. 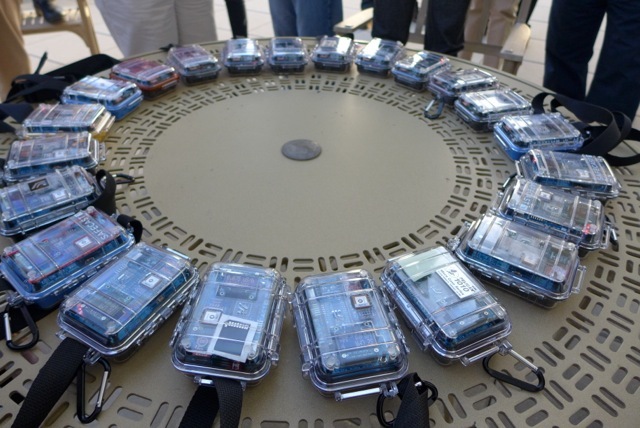 That kit advanced the State of the Art by integrating GPS into the instrument, and by simultaneously rolling out an internet ecosystem to compile and display the data. Safecast projects have been widely reported on by National Geographic and other respected news outlets. Safecast is even covered as a model for “surviving our faster future,” in the book “Whiplash” by MIT Media Lab Director, Joi Ito. 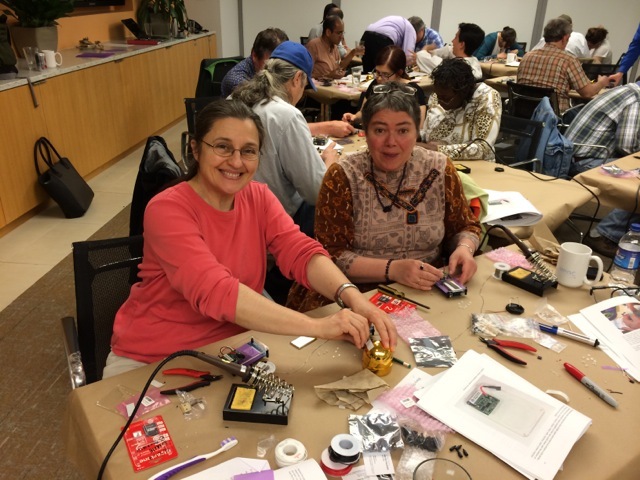 While many people have benefitted from kit building workshops, and many more have developed their technical knowledge by participating in the mostly volunteer project, not everyone has the time to build a kit. 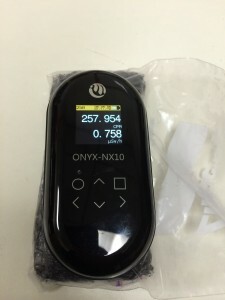 The new Raku Nano does not require soldering, so more people can now participate. Safecast was born during the Fukshima Daiichi reactor melt downs, during a period where reliable and understandable radiation data was largely unavailable. Safecast is independent and not a political organization, so people of all viewpoints can participate and can see how data is collected and presented. That in itself is revolutionary, or maybe evolutionary is a better word. 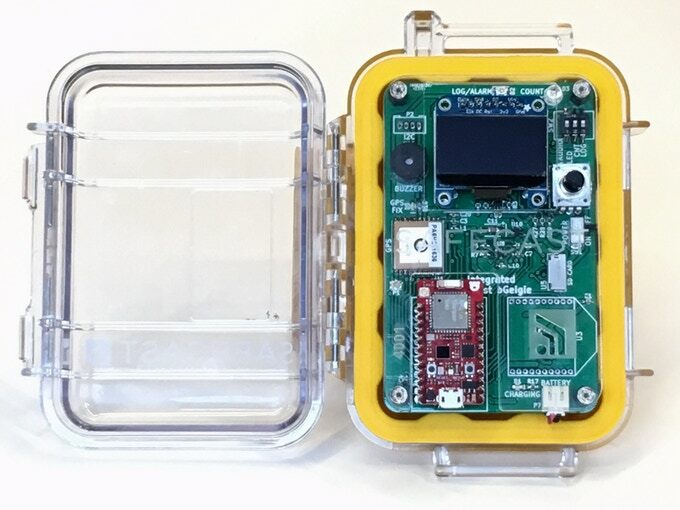 I highly recommend supporting this Safecast Kickstarter Project, which will both advance the radiation detection ecosystem and support a good organization. There are only seven days left to fund the project, so act fast. Interesting article on hot spots at aviation altitudes published by Space Weather. Anyone who has traveled with a geiger counter on an airplane knows cosmic radiation intensifies at higher altitudes. This article explores that phenomena. 30 Year Anniversary of IMI – International Medcom Inc. I usually keep my occasional blog posts limited to news of interest on radiation detection, safety and security. I have also posted on events related to the radiation detection industry. I donʻt usually post explicitly on my own company, but much of my work in Radiation Detection has been through my activities as a Founder, Designer, Engineer, Chief Bottle Washer and CEO at IMI. We just marked our 30th anniversary this week, so I decided to celebrate the occasion with a blog post. I want to thank each of our other Founders, our Shareholders, Employees, Consultants, Advisors, Friends, former Employees, and Families, but especially our Customers for your support and your loyalty. We have some big news and exciting projects coming up. We think the best years are ahead of us, and that our work is becoming more important as nuclear and radiation safety issues become more complex and critical for a healthy and safe future for our planet . Stay tuned. Anyone who has carried a Geiger Counter on a flight knows that radiation levels go up with altitude. This is primarily because the atmosphere thins, providing less shielding from cosmic radiation. The magnetic field surrounding the earth also provides some shielding. 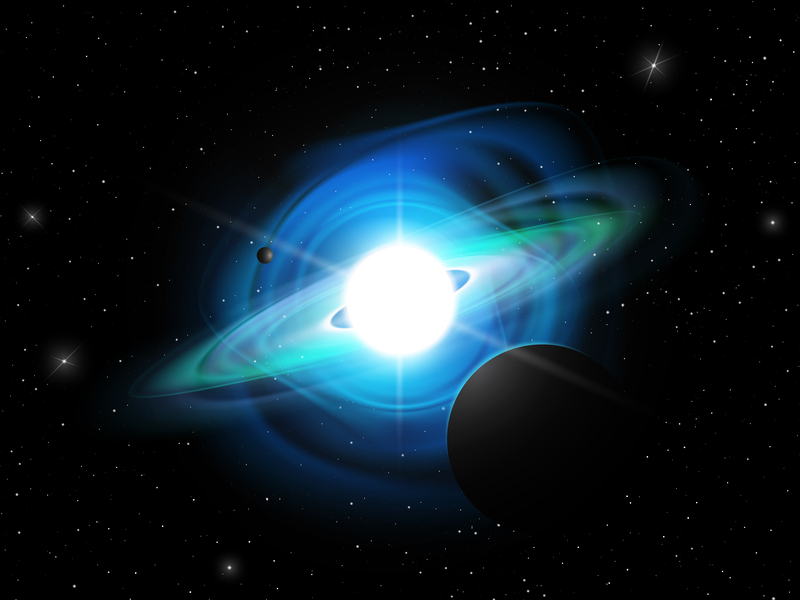 Outside, in deep space, radiation levels increase significantly. Health data for Apollo Astronauts shows need for more attention to deep space effects on human tissue, and also special considerations in shielding. More on this at nature.com and observor.com. The Journal of Radiological Protection has published a peer reviewed Scientific Article by Safecast members on the success of Citizen Science in providing radiation data during and after the Fukushima Daiichi reactor melt downs. 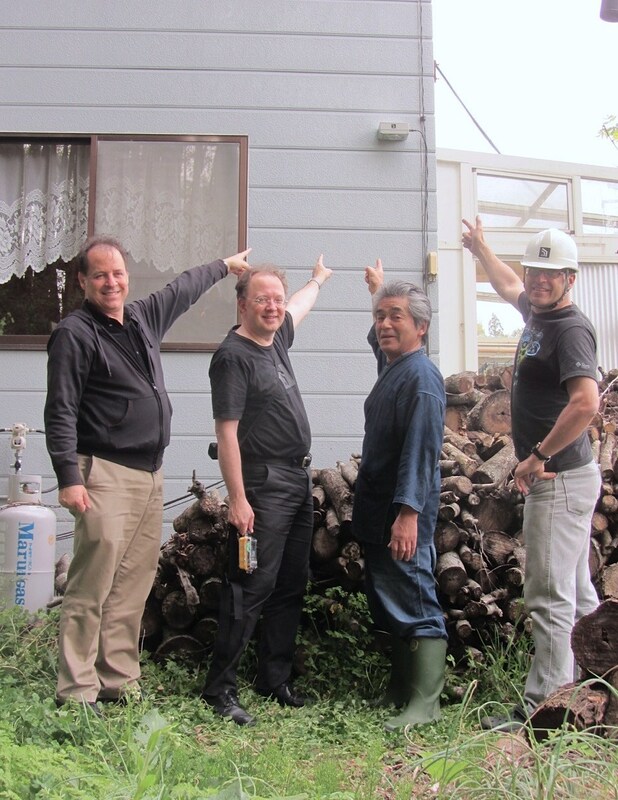 Safecast is also expanding its project by deploying permanent monitoring stations in Fukushima Prefecture. 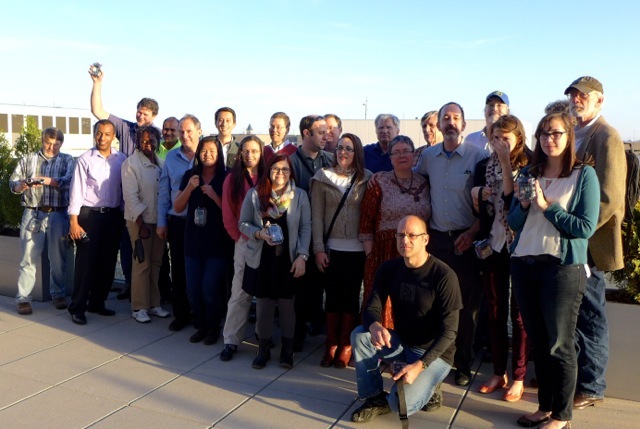 In Washington DC, during the recent Nuclear Security Summit, Safecast collaborated with NRDC and others to promote the role of citizen science in responding to emergencies and potentially in prevention. More on that here. NRDC did a great job at organizing events around the Summit. Yes, Geiger Counters equipped with pancake type detectors can detect the radioactive noble gases Xenon and Krypton better than most detectors, but they cannot differentiate between the isotopes and also would have difficulty detecting subtle levels that would occur at a large distance from the underground site due to dispersion. I heard too many stories of unnecessary high radiation exposures in 2015. I feel compelled to remind people about the basics of radiation protection. There are always simple things that can be done to reduce exposure: Time, Distance and Shielding is like the ABCs of Radiation Protection. If you work or live around sources of radiation, or if you suddenly find yourself exposed, always remember that Time, Distance and Shielding are your best friends. Limit your Time near the source. Distance: Moving away from the source will dramatically reduce your exposure in an exponential way. Shielding will always help. Concrete walls, steel, lead, earth, bricks – anything with a lot of mass – will help. If radiation is airborne, always remember to protect your lungs with an air filter, mask or even some cloth in a pinch. More on this at the NRC website. Remember to carry a radiation detector if you are working around radioactive materials, and pay close attention to it. Here’s to a safe, secure and healthy 2016! The top instrument is designed to detect ghosts by measuring magnetic radiation. 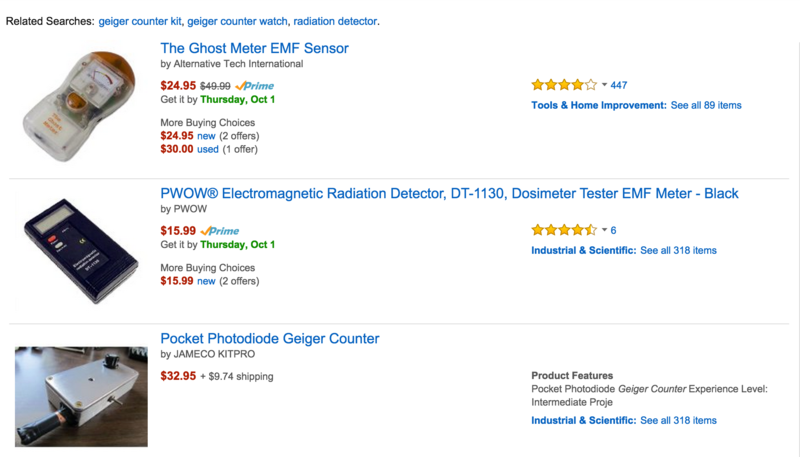 The middle one is for measuring “electromagnetic frequencies.” Well gamma radiation is a form of electromagnetic radiation that is detected by Geiger Counters, but this is not a Geiger Counter and this instrument does not measure ionizing radiation – which is what Geiger Counters do. Other instruments that show up under a Geiger Counter search include devices that use diodes, CCD camera sensors, other silicon sensors, ion chambers and scintillation detectors. There are many kinds of radiation sensors. It’s important to sort through the sometimes confusing information that is out there to find what you really need – or you could end up with Unicorn Meat, if that really exists. Geiger Counters are instruments that use Geiger Mueller sensors to detect ionizing radiation. Ionizing radiation includes alpha, beta, gamma, x and neutron radiation, and also exotic particles from outer space such as leptons and muons. Geiger Mueller sensors with mica windows can detect beta radiation, while those with thicker metal sidewalls cannot. Geiger Mueller sensors with thin mica windows can also detect alpha radiation. If you take a little time to think about what you need, and then do a little research, it can help you understand each instrument and what it is capable of and whether that matches your need. In the world of Geiger Counters, Don Ludlum built quite a legacy. Ludlum Instruments, founded by Don, is arguably one of the largest and most successful radiation detection companies in the world. Ludlum Instruments has a strong reputation for quality and dependability. Although I have known and respected many people from the Ludlum “family,” I never met Don. I wish now I had taken the time to drive over to Sweetwater, Texas and shake his hand. Everyone I have met who knew him describe him as a fair, honest and kind man. He definitely left an impact in the world of radiation detection. Condolences to all who knew and loved Don. You can learn more about Don and Ludlum Instruments at ludlums.com. Dr. Ken Buesseler is currently on Bikini Atoll, studying the residual radioactive impacts of nuclear testing that took place there. This picture was taken on January 18, 2015. 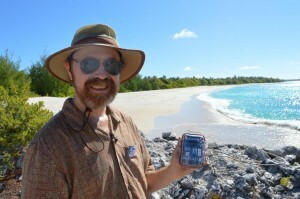 We were able to send Ken a Safecast Nano radiation detector, and will be posting data from the instrument to the Safecast website. Safecast will also be reporting on Kenʻs scientific mission, so stay tuned to the Safecast Website. “Essentially we left Majuro on Jan 16, are at Bikini atoll sampling 18-20, head 24 hours to Enewetak (with one sampling station in between for waters in upper 2000m) and then 3 days in Enewetak before the 3 day steam back to Majuro. Japan was not the only population to experience the devastation produced by nuclear weapons. 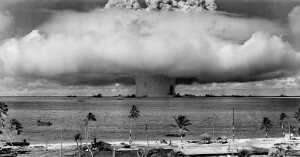 The impacts of nuclear testing on the Marshal Islands population was quite severe. American service men and women were also exposed during these tests. 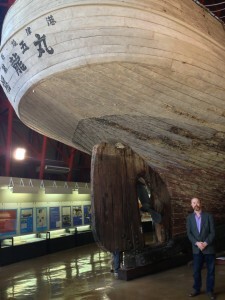 Circling back to another Japan connection to all of this, Ken was able to visit the Lucky Dragon ship in Tokyo recently, as he prepared for this trip. The crew of the Lucky Dragon was not very lucky, and was hit by fallout from nuclear test Bravo on March 1 1946. Read more on the Lucky Dragon on Wikipedia here. There is a lot more to this story, including the data Dr. Buesseler will be collecting. Iʻm very interested to hear how the ecosystem is holding up there. Stay tuned here, and keep an eye on Safecast for more news. We are continuing to monitor food, plants, seaweed for radioactivity from Fukushima Daiichi at our California lab. We are upgrading equipment, refining our methods, learning a lot. 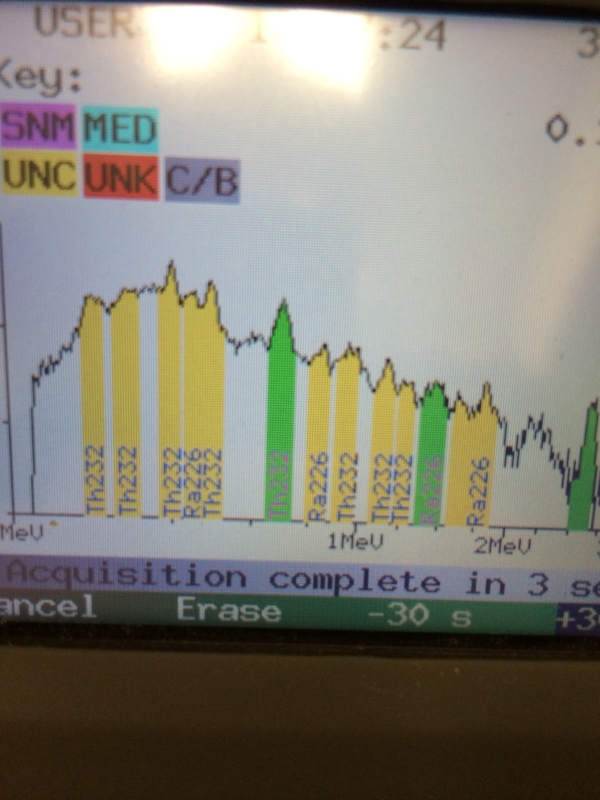 Right now any Cesium from Fukushima Daiichi is at levels too low for our equipment to detect. Weʻll be reporting more on the equipment and techniques we are using. The basic information is that we are using 3 inch by 3 inch Sodium Iodide detectors, which have pretty high sensitivity when you put enough lead around them to shield out background radiation. We reported earlier that Dr. Ken Buesselerʻs project is reporting the detection of some Cesium 134 from Fukushima off the coast of Northern California. The level reported is 2 becquerel per cubic meter of water. A cubic meter of water, for those of you who havenʻt converted to metric yet, is a cube with dimensions of about 3.3 by 3.3 by 3.3 feet. To visualize 2 bq per cubic meter imagine random flashes of light in an area of that size, at the rate of approximately 2 per second (which is about 120 per minute). The fact that we have lived with radioactive cesium in the ocean since nuclear weapons were first tested in the atmosphere in the 1940ʻs does not give a lot of comfort to those of us who love the oceans. But we still need to see it in perspective, and the levels are still relatively low. Iʻve been thinking a lot about my earlier post about the radioactive sand at Surfer Beach, Half Moon Bay, CA. 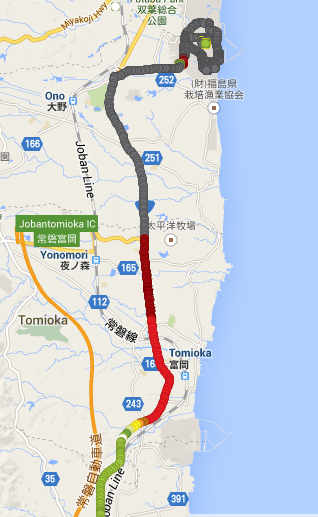 I did determine to my satisfaction that the radiation was not from Fukushima Daiichi. The State of California and others agreed with me and said it was safe. While I still think it is a beautiful beach and that the radioactive minerals there are likely naturally occurring, I think making a blanket statement that it is safe is going a little farther than I am comfortable with. I provide radiation detection instruments to many safety professionals who work to meet regulatory compliance in the petroleum drilling and transportation industries. The sand on Surfer Beach contains the same NORM class materials that they have safety programs related to, and exceeds the levels deemed of concern by some States and by the EPA. Both Radium 226 and Thorium 232 emit alpha radiation, which can be hazardous inside the body if these radionuclides are ingested or inhaled. So people with babies and small children might want to think about whether that is the best beach to play on. If you want to find out more google NORM, Thorium 232, Radium 226. There is a lot of interesting information out there. I did feel a sense of urgency to let people know the radiation on that beach wasnʻt from Fukushima – because people were getting a little crazy over a false rumor. Back to rumors again, there have been some reports of high radiation levels on beta sensors in the EPA Radnet network. I have tried to get information on what is happening by going to the source: The EPA. I wish I could report anything useful. I tried emailing them using email links on the Radnet website. None of the links were functional. I called EPA on the 2 phone numbers on their website on Dec. 17 2014. Iʻm still waiting for a return phone call. With response time like this, I hope we donʻt have a genuine emergency. I am continuing to investigate and will report here if I find out anything about what is going on. Radiation Detection is not generally a subject of much interest in the popular media, except during major events such as the Fukushima Daiichi meltdowns of March 2011, Chernobyl May 1986, Three Mile Island March 1979. Today, news of radioactive Cesium approaching California was reported by Dr. Ken Buesseler on Reddit. His announcement produced a lot of good questions and answers – and undoubtedly a preview of some of the controversy that will arrive with aqueous “fallout.” I think it’s interesting that Dr. Buesseler chose non-traditional media to make this announcement. It kind of fits because Ken is approaching the whole project in a non-traditional way. He found little interest for his project from traditional funding sources or from the US Government (which does not have an overt ocean radiation monitoring program). More on his project here. There is some radiation detection news in the popular media too recently: Radiation sensors are going off at landfills due to radioactive materials brought to the surface by fracking activities. The Pittsburg Post Gazette covers one approach to dealing with it here. For background on this issue, NORM (Naturally Occurring Radioactive Materials) have been with us for millions of years, but they become concentrated by various processes in the oil and gas drilling, fracking, transportation and refinement arena. Wikipedia covers some of this here. The people most directly affected are the workers in this industry, so radiation detection is important to help minimize exposure. Then there is the question of whether the byproducts and concentrated NORM materials in landfills will have long term impacts on the water table etc. There is much debate about these issues. In France, some people armed with Geiger Counters say it’s time to redevelop a historic and interesting nuclear testing site just 14 miles from the Eiffel Tower, covered by NY Times here. In England, radiation levels have dropped to low enough levels to allow the dismantling of a tower that protected the public during a serious fire at Windscale in Cumbria, 1957. The Guardian reports that without it much of Northern England could have become a “nuclear wasteland.” Read the story here. 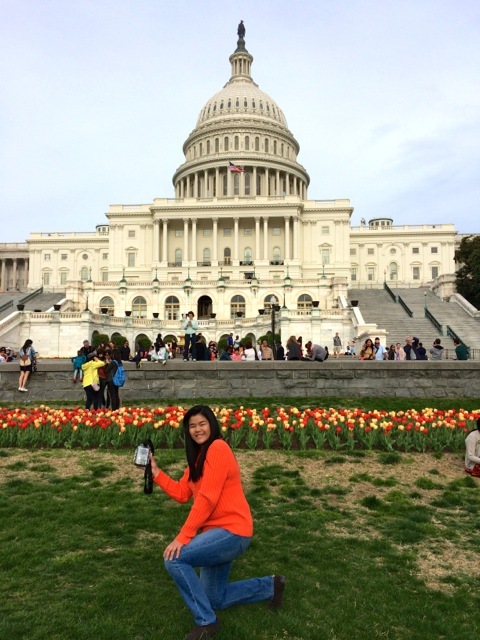 A few weeks ago I found myself in Washington DC. I was engaged in activities I think the activist Founders of the USA would deem profoundly American – though the issues are ones they probably could not imagine in their day. The event involved democracy, freedom of information, new technologies, and, yes, Geiger Counters. Since Fukushima Daiichi events, many Americans have been disturbed by the lack of data provided by governments on any radiation impacts. There have been a lot of problems with the EPA Radnet monitoring system, and people find it confusing. See Forbes Magazine article on Radnet. No U.S. agency is charged with monitoring radiological safety of the oceans, or the food that comes from it. Assurances that everything is okay would be better received if there were data to back it up. Security around nuclear materials is also a big concern these days. Many of the individuals involved in the DC event are trusted representatives of well known (and respected), independent, non profit organizations. There were also representatives from Academia. And there were US Government Agencies charged with protecting public health, safety and security. The common interests of these groups revolve around things nuclear: preventing bad things from happening, and dealing with the problems if/when bad things do happen. A complete list of organizations represented is contained in this blog post by Bemnet Alamayehu at Natural Resources Defense Council (NRDC) . NRDC sponsored the event with support from the John D. and Katherine T. MacArthur Foundation. The eventʻs outstanding success was due largely to the good reputation NRDC has achieved over many years by working in the public interest on complex environmental and security issues. The NY Times calls NRDC “One of the nation’s most powerful environmental groups.” NRDC has for decades supported the important role of independent citizens in radiation monitoring programs. In the nuclear arena there is also tremendous goodwill and respect afforded NRDC for their innovation and success in supporting international nuclear safety and arms control programs. I have personally been a fan, volunteer and a supporter of NRDC for decades. Earlier work with NRDC took me to Post-Chernobyl Russia and Belarus to support communities in an independent radiation monitoring program – at a time the old USSR (under which it was illegal for citizens to possess a geiger counter) was crumbling . The form this particular exercise in democracy took, and how it unfolded on this day, would not have been possible without the participation of the good people from Safecast, who designed the system and the instruments we used, facilitated the detector building workshop, and co-facilitated the deployment and mapping exercise, with NRDC. Safecast developed a technologically advanced system for rapidly compiling radiation data in response to the March 2011 events at Fukushima Daiichi, Japan. 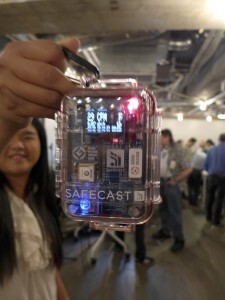 Safecast covered the Washington DC event at this blog post on their website. 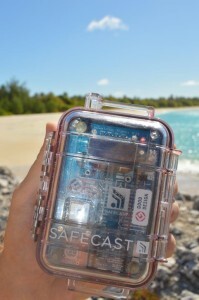 I have also been a supporter, volunteer, technology provider and advisor to Safecast since April 2011. These “Nanos” were built by workshop participants the first day of the workshop. To get to the point, we basically hand built a lot of the Safecast “Nano” radiation detectors. They are uniquely equipped with satellite GPS receivers, specialized sensors, and micro SD card data loggers. We fanned out around the centers of power and historic sites in the nationʻs capitol, logged radiation levels, and then published the data to the world wide web – all within 32 hours. 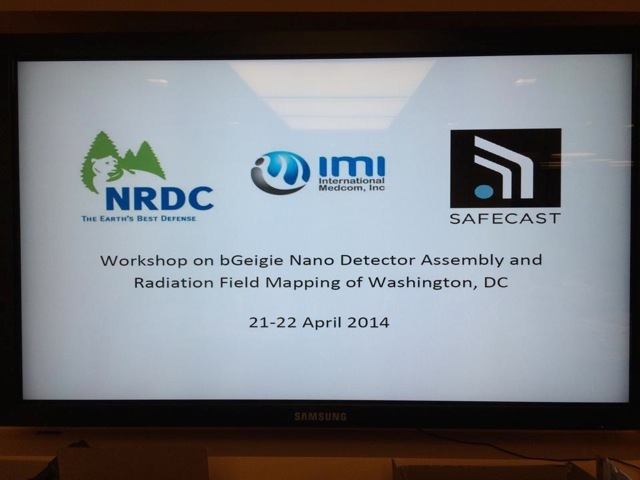 The data can now be viewed on the Safecast iPhone App (available free at the Apple Store) We also installed a real-time radiation monitoring station at NRDC Washington D.C. Headquarters, just a few blocks from the White House. 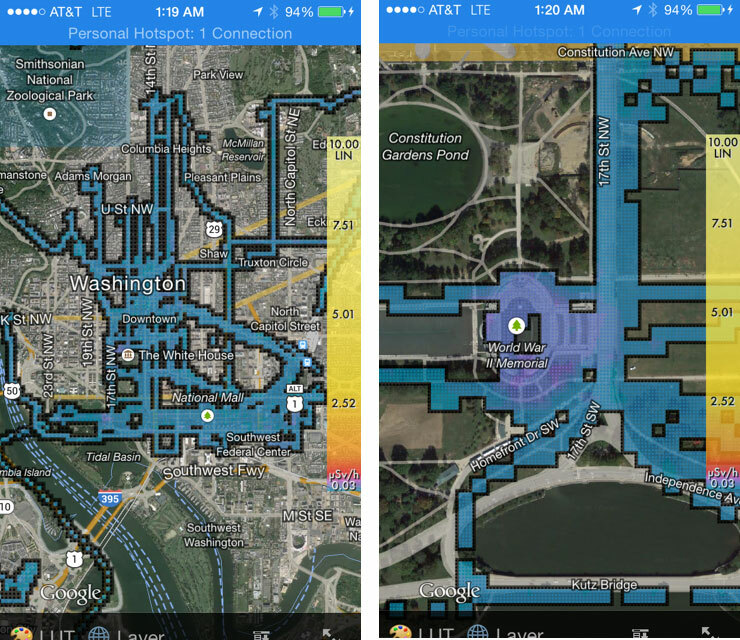 Radiation Map of Washington DC around Washington Mall, White House, Congress. Note slightly elevated readings due to granite around the War Memorial. Could our activities in any way compromise National Security? I have asked myself that question many times over the years – when I have been asked to become involved in community monitoring projects. I could not imagine any problems, and have never seen anything but positive impact on communities. Apparently the Department of Homeland Security and National Nuclear Security Agency agreed. They sent representatives to observe and participate. Freedom of Information is a basic tenant of Democracy, and also recognized internationally as a basic human right. Informed citizenry is considered to be a foundation of strong democracies. Security is something all communities naturally strive for. The overwhelming majority of us want our cities, our children, to be safe. The more radiation detectors and data out there the safer we are, I believe. If anything unusual surfaces, we all want to know about it – and to feel empowered to take appropriate action. The good news is that radiation levels around the White House, the US Congress, the Washington Mall all look pretty normal (see color coded map above). The slightly elevated readings around the World War II Memorial are due to naturally occurring material in the granite monuments. More events are in the planning stage. Your city may be next. Stay tuned. We continue our investigation into the beautiful mysterious black sand at Surferʻs Beach. This video documents our visit to the beach, and what we have found so far. A good Geiger Counter can be an invaluable tool. It can tell you a lot. With one, you can see what is invisible to human eyes and other human sensory systems. You can then use that information to take appropriate action if you see something unusual. Knowing that you have that ability can empower you – and give you peace of mind. The humble Geiger Counter, used with some skill and knowledge, can save lives and prevent suffering. It can also be used as a tool for learning about the natural world around us, which is truly fascinating. 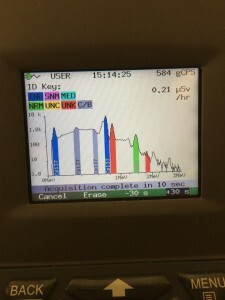 But Geiger Counters give you a limited view at relatively low cost – only a peak into that invisible realm. The veil becomes lifted, but you have to use some scientific method, understand the rules, sometimes consult other instruments, to get a definitive picture of a given situation. Interpreting or misinterpreting what you are detecting can be a learning experience, and, when you share it on YouTube, well….a lot of us got a learning experience over the holidays. 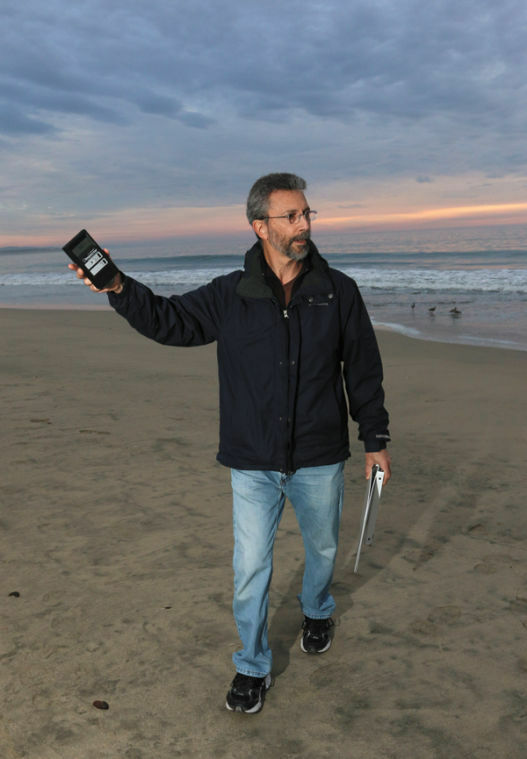 The YouTube video of a Geiger Counter on a beach at Half Moon Bay went viral. It was viewed over 600,000 times in a couple of weeks. 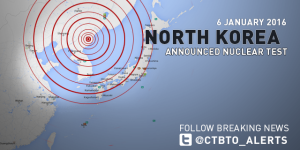 Speculation was that unusual readings meant something from Fukushima had arrived on the West Coast. People along coastlines throughout the Pacific Rim became concerned. It was not just the video of an innocent guy, a concerned citizen, finding something radioactive and jumping to conclusions. It was the combination of that, combined with a lot of fear mongering by other people (not connected to him) on various websites – about crazy scenarios unfolding at Fukushima Daiichi. Azby Brown at Safecast Japan covered some of those stories here. I asked people to consider not forwarding email or web links that donʻt ring true here. During this period I heard reports of people taking potassium iodide, duct taping themselves into rooms, and refraining from eating anything from the ocean, or even fresh vegetables. I monitor for radiation daily and I volunteer for Safecast. I trust their data and their team to be rock solid. I knew there was no massive radiation event happening. A close friend and trusted partner, Steve Weiss, lives on Half Moon Bay – near the beach in question. He and I have been working together in the radiation detection field for over 35 years. We were designers of the original Inspector almost 25 years ago. Reports of beach contamination were based an Inspector reading. Thus we felt an added sense of responsibility in this situation. Steve rushed me a bag of sand from from one of the areas of concern on the beach. I analyzed it and reported the data to Safecast and to this blogpost. Sean Bonner of Safecast also did some research and posted his findings here. There was a lot of Trans-California and Trans-Pacific collaboration going on. A few days later, Health Officials confirmed our preliminary conclusions, as reported by Half Moon Bay Patch here. Why did we have confidence that the elevated readings were not from Fukushima? Hard earned experience, and different technology. 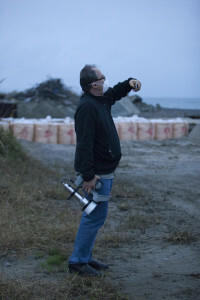 I traveled to inhabited areas of Fukushima Prefecture with Sean and other Safecasters in December 2011, carrying a multichannel analyzer. The spectra on the sand on the beach in Iwaki did not look anything like the sand at Half Moon Bay. See the spectra below. Spectra from Fukushima Prefecture. Note Cesium 137. I guess the moral of this holiday story is donʻt believe everything you hear on the internet, and also remember that a Geiger Counter can only give you a limited view of a new situation. Try not to jump to conclusions until you have all the information. There are many sources of radiation in medicine, in homes and workplaces, and in the natural environment. The spectra of radioactive isotopes are now well documented in Fukushima. The data from Geiger Counters are invaluable over there, and there is no need to constantly collect new spectral data. Half Moon Bay was a completely different situation – and it took some other tools and some research to sort it out. I hope everyone knows that Potassium Iodide should not be taken lightly. There are adverse reactions reported, and it should not be taken by pregnant women. Itʻs value is actually controversial. If there is value in taking it, itʻs only when radioactive forms of iodine are present in the air, food or beverages. To my knowledge, this is not an issue at this point in time. Iʻm very heartened that many people with diverse interests and concerns worked hard over the holidays to counter the apocalyptic internet reports about Fukushima Daiichi problems, and to help the general population calm down. A lot of concern has been expressed about recent reports and videos showing high levels of radiation on a beach in Half Moon Bay, just South of Pillar Point Harbor. It has been attributed to Fukushima. Local officials have been quoted as saying they donʻt know what it is, but donʻt worry about it. See local story. Here is what we have learned so far: The radioactive areas of the beach seem to be associated with dark sand below the high tide level. The levels detected are about 5 to 10 times what you would normally expect to find on a beach. The radionuclides are in the NORM class of radioactive substances, not from Fukushima. NORM stands for Naturally Occurring Radioactive Material. We put a sample in a Multichannel Analyzer and found Radium 226 and Thorium 232. See the measured spectra below. If the sand were contaminated by radiation from Fukushima it would show Cesium 137. See spectra below from contaminated area of Fukushima Prefecture. The same instrument is identifying Cesium 137 rather than Radium and Thorium. The picture below is a geiger counter measuring the activity in a sample bag of the sand. The radiation level is elevated, but roughly equivalent to some granite counter top material from Brazil. Whether this material is naturally occurring at this beach or not remains a question. There are also reports that a pipeline was once at this location. We hope the State will do further testing to determine the origin and full nature of the hot spots on the beach. But we are confident that it is not related to Fukushima, based on the spectral signature. We expect more news later today. Spent fuel removal at Unit 4 is in progress. Safecast equipped a vehicle with one of their Nano sensors that was allowed onsite at Daiichi. Here is the collected data. NHK did a video report on the conditions workers are dealing with at Daiichi. View it here. IMI is offering special holiday pricing on radiation detectors for people who want to send one to Fukushima communities through Safecast. The same discount is also extended to instruments to be shipped to people in Japan. Enter HELPJAPAN as shopping cart code to get 20% discount. More on this on IMI homepage. 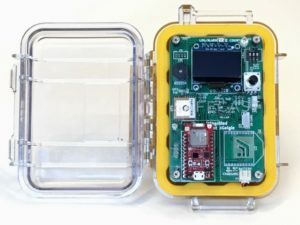 IMI is also offering special pricing for Nano kits, and free Japan delivery, for people who would like to send one to Fukushima communities through Safecast. Details here. Safecast has now collected data well beyond Japan, with some data coming in from all seven continents. More on that here.